Do twenty something question everything? Is doubt or self doubt second name to you? Do you believe that asking questions is a better way than giving answers to somebody? Then there is a high probability you are in your mid twenty or at least still under a hangover of it. Most mid-twenties have an immense sense of awareness about their past failures and mistakes. And one learning that cuts across all is that they feel they trusted something or somebody too quickly. Hence risk taking ability reduces and the drive to doubt all increases by leaps and bounds. Excess of everything is bad. So where blind trust is detrimental, doubt hampers progress. A balance of both can result in huge amounts of success. Firstly why do mid twenties doubt everything? Or ask questions at every juncture? Because they have baggage, they have carried their failures on their shoulder and the thought of another one scares them. Hence every single step they veer into is a conscious one, a backed up one. This of course results in them losing out on many other things. People don’t have patience and hence don’t entertain a lot of questions and life doesn’t wait for too long for your doubts to subside, opportunities run away. You tell us, do you too ask many questions? Do you believe you can only operate once backed up with data or assurances? Great post…although I still do question everything even now! I think it’s important to ask questions and become informed rather than just assuming! Actually your past creates your future as it preps and shapes you for it. Every aspect of your life is linked. As you grow older, the past starts to make more sense. Don’t discard it, it holds many clues to your future. twenties are a time of self-discovery, true selves are found and tested, the strong try everything without thinking and make many mistakes, the smart ones watch their bold friends and learn from them! but sometimes it’s good to try new things and stumble, just don’t spend too much time calculating the risks or the opportunity will pass by… i had a blast in my twenties and survived! my favorite decade of life, so far! great pondering posts for a to z! Well Richa, I do ask a lot of questions, sometimes or most of the times I question Myself and my actions. Curious to know your views on this. It never hurts to know and understand the “whys” about things. I ask a lot of questions too and that bugs my husband to no end. But jokes apart, asking questions helps a lot, clarifies your though process and prepares you better! I wouldn’t say the past is irrelevant to our future plans. We can learn a lot from it. We can learn to ask the right questions and weed out the wrong answers. We can make future plans to avoid the mistakes we made in the past. 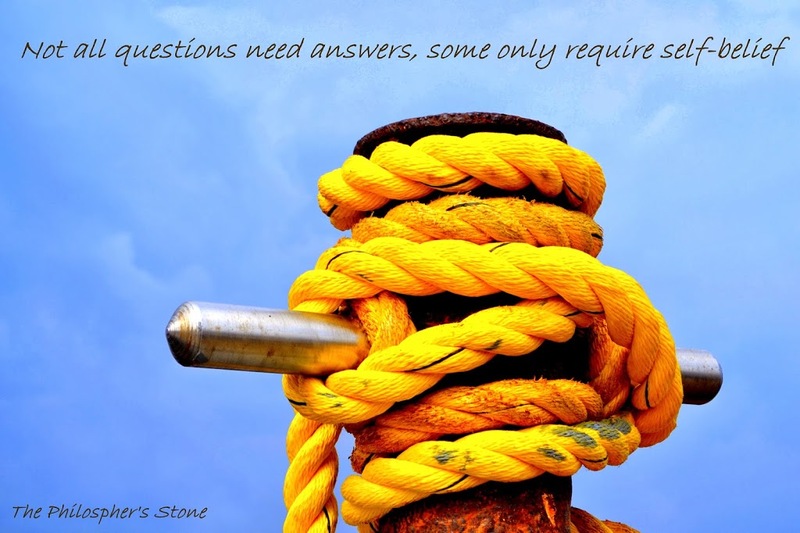 SO, yes, questions are critical at every stage of life.